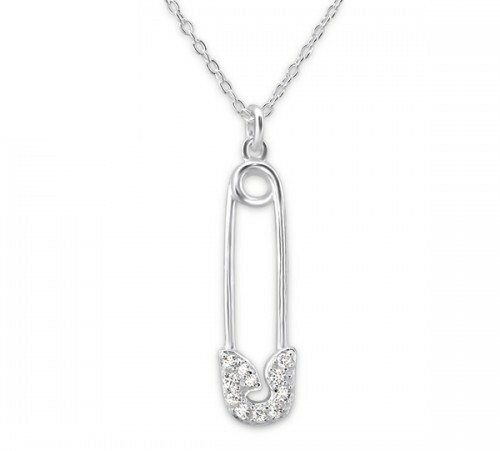 Shades of punk, now glamorised in this charming Safety Pin that has been designed in 925 Sterling Silver, with the top part hand-set with 11 Cubic Zirconia. So cute, so unusual, so cool that whenever you wear it, it becomes a talking point. Set on a Sterling Silver 45cm/17.5” chain with a 3cm extension. Size: 6mm x 22mm. Silver weight 2.64g.